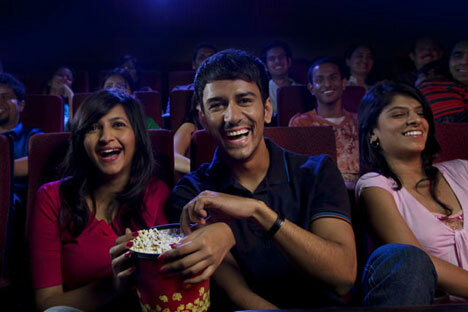 Сinema may become a connecting link between the peoples of Russia and India. Contemporary and Classic Russian Cinema, including two world premieres, will be showcased at Osianama’s ‘Russian Film Days’ Festival in Mumbai, which aims to revitalize strong cultural linkages that existed between Russian and Indian cinema and strengthen the strategic partnership. For almost half a century, cooperation between the USSR and India in every sphere was associated with an active cultural exchange, of which cinema formed the core. Indians learned about Russian culture and history from Soviet films, while Indian cinema in turn won hearts of millions of people in the Soviet Union. For the older generation, they are not only vivid recollections of youth, but their characters’ names sound like a circle of friends, with stars such as Raj Kapoor, Nargis, Hema Malini & Mithun Chakraborty especially inspiring affection from the 1950s to the 1980s. Fostering this tradition of cultural relationships, the Russian National Fund of Copyright Holder’s Support and the Filmmakers Union of the Russian Federation, in partnership with Osianama, India’s pioneering cultural institution, is organizing the ‘Russian Film Days’ Festival at the iconic Liberty cinema in the heart of the capital city of Indian Cinema – Mumbai. Both Contemporary and Classic Russian Cinema will be showcased at the Festival, along with assistance to foster Indo-Russian cinematic partnerships. The Contemporary Film section will be marked by two World Premieres, with the Opening Film “Without Borders”, and the finale, “The Teacher.” Both will be premiered in Mumbai ahead of their release in Russia on November 26. Among movies being screened are six contemporary films of different genres, providing an opportunity to get to know modern Russian cinema from both an artistic and a commercial standpoint. The contemporary section has only films from 2015, except “Viy,” which was the highest grossing Russian film of 2014, making $40 million at the box office. The second part of this film will be co-produced with China, while India is the location where the third part of the movie will be shot. The Classic films section has a focus on the cinematic legend Sergei Eisenstein, along with films by other eminent directors like Andrei Tarkovsky, Mikhail Kalatozov and Dziga Vertov. There is also a small section dedicated to cinema with joint Indo-Russian Collaboration. The Liberty cinema is the venue of Osianama’s the Russian Film Days Festival. The famous art-deco cinema hall is now a part of Osianama’s vision for India’s Cultural Development. The Russian Delegation who will attend include eminent personalities and celebrities, like Vyacheslav Telnov, Director of the Cinematography Department of the Russian Ministry of Culture; Oleg Ivanov, First Deputy Chairman of the Russian Filmmakers Union, and producers, directors and actors: Dzhanik Faiziev, Alisa Grebenschikova, Anna Churina, Oleg Stepchenko, Olga Zaitseva, Arina Borisova and Egor Koreshkov, among others. Maria Lemesheva, Advisor to the Russian Filmmakers Union and Editor-in-Chief of The Hollywood Reporter Russia magazine, will head the Russian delegation. The festival agenda also includes meetings between actors and film directors and the audience, visits to Indian film studios, press-conferences and round tables, and social and business events. Mumbai is the recognized heart of the Indian film industry and among the most important economic and cultural centres of the country. ‘Russian Film Days’ in this metropolis will help develop new relations with the creative and business communities of India, and also strengthen cooperation in filmmaking. It will further develop cultural exchanges, strengthening the bilateral strategic partnership. “We hope the art of cinema will become a connecting link between the peoples of Russia and India and to help us better understand each other. The Russian Film Days is a starting point for the revival of cultural and business cooperation traditions between our countries,” said Maria Lemesheva.